EastComfort's short term rental in Bucharest apartments represent the right choice if you wish to stay in Romania. After viewing the list of apartments try sorting the apartments by number of guests, price or our recommendations. 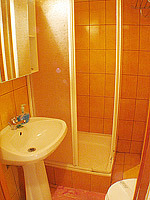 If you need cheap accommodation in the center of Bucharest, this short term rental apartment is the answer. It's made up of a large room (double bed, TV and TV table, desk, armchairs and wardrobe) suitable for resting or working, kitchen and bathroom with shower. 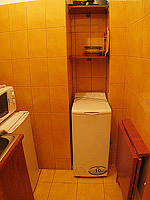 Simple but very cosy this studio will ensure you a pleasant and comfortable place to stay. Well-appointed in one of the most visited areas in Bucharest, near the Capitol Hotel, with all the amenities this area has to offer.